I am struggling for time again. I missed my writespiration by a day last week, and I am writing this post far too late on Sunday night. Time is a constant problem for me. 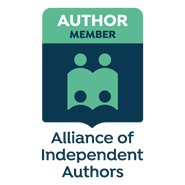 How do I balance, full time employment, with being a mum, wife, keeping a house, trying to stay fit and healthy so I don’t have a heart attack, write novels, and keep a blog? Basically I can’t, much as I like to think it, I am not actually super woman. I’ve written before about being more efficient as a writer, 10 Life Hacks For The Efficient Writer. But with the onset of some sleepless nights with our toddler I am waning more than somewhat. Posts are late or, non existent and so is my motivation. So my writing BFF Ali and I have been trying something new together. Sprint writing. How do you sprint write? Choose a time you want to sprint for. Note – for best results choose a time UNDER 20 minutes. This is for various reasons. I’ve tried half hour and hour long sprints, but I’ve found I slow down part way through, I start to edit and my mind wonders. The shorter the time, the harder and faster I can sustain the burn for! I usually choose 10-15 minutes. Write. Hard and fast. No editing, no stopping. Worry about editing and corrections after you finish. As an added incentive – sprint with a buddy. It applies just that little bit extra pressure to ensure you stay focused, because someone will want to know your word count at the end. Over the course of a normal hour, I will write maybe 6-700 words. In the course of a 15 minute sprint, I can write 350-400 words. Multiply that by 4 sprints in one hour (ok just over an hour when you take a couple minute break) and at worst I have 1400 words, at best 1600. Over double my usual rate of writing. Even with editing, this is still a faster pace than I can normally achieve. The best bit for me is, you don’t get distracted by social media, because you don’t have time. I am a slave to social media, so this distraction free writing is ideal, and massively productive. I am competitive, I like to beat myself, constantly. So each sprint I write faster and faster. I set target word counts that are just a few words out of reach, and then type at the speed of light to break them. Somehow, Adultland has made it to over 11,600 words because of sprint writing in the last couple of weeks. I have also made the decision to write it as a novel. So I have been busy editing the first three chapters and writing considerably more. I honestly think, sprint writing will enable me to finish the first draft before the year is out. Given that it took me almost a year to write my first novel, three months is some going. Try it out. Let me know if it works for you. How do you find more writing time in your day? So true! Do you feel like that about music? Does the same thing happen? Accepting your sprint writing challenge got me writing my new project, something I had actually found hard to get started on. Just write, you said, so I did. Normally, I edit as I go along, which really slows me, and actually offers up so many barriers to the writing process. 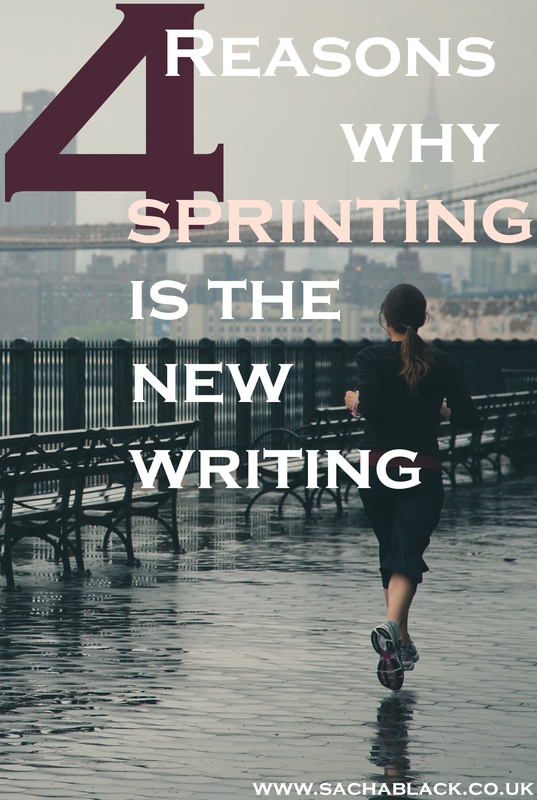 I’m enjoying the sprints, and plan to use them regularly! ? interesting that you say editing as you go offers barriers. I wonder if it also removes some? Like overwhelming fear of editing for one?! Haha! The only thing that will remove that fear is tackling a major edit. Then you’ll see how fun it is, and how satisfying whipping that rampant wordy manuscript into a slick, polished novel ready for… gulp… formatting can be! ? Thanks Judith – how do you manage to fit writing in? I don’t normally sprint, but I have set timers for myself on days I was feeling more distracted than usual. Knowing you have a “deadline” just kind of scares your mind into getting the work done. completely agree! I love nothing better than pressure. Cant seem to function without it! It really has. I wrote 11.6K this month of a novel, next month I want to double that, at least! More focus on the novel, less on the blog I think. I just went to a intense struggle to get something up on time. I’m definitely going to try this to make some good drafts so hopefully I don’t have to do that again! Thank you so much for the tip! I will certainly try to find somebody who is willing too. I need to try this approach. You are a genius. Lol. Why thank you! hehe. Let me know if it works for you. Also – I went to reblog your Monday inspirations with me today and couldn’t find the reblog button…. hints? I had a few of my posts reblogged on strange websites that looked like all they did was reblog, so I hid it. Figured those who really want to reblog will find it. Or will ask. With so many of us swamped and out of free time this may help a lot of us. Tell me about it!! I honestly don’t know how people do it – If I wrote full time I would be a proper nightmare! Yes! You know I’ve been blogging about this. Wondering what to do. I’ve got to give this a try. It’s so crazy it might just work! 😉 Brilliant, really. (I’ll let you know how it turns out.) I definitely need more writing time in my day and let’s not talk about ‘distracted by social media’. Good luck with the new novel! <3 I have to go back and read the Adultland posts. I do. It’s true. I did think of you when I wrote that social media comment! Bloody social media. It’s so wonderful yet pesky at the same time. It is a bit mental, and its also DRAINING because you have to focus so intensely, and when you do the repeat sprints its really really knackering. BUT, you know what…. it bloody works! Ahh, don’t worry about reading them! I will only edit them into something decent anyway – they were all first draft type stuff! I wonder what my own word per minute would be at 15 minute intervals. I suspect it might be fairly similar to yours. I may just have to try this out. ooh. If you work it out let me know, I would love to hear if this technique works for you. Sprinting has become my favorite way to get some words out. I LOVE to rewrite. I can always make it better. Which can be great way to make my writing shine, or a great way to keep from moving forward with my writing. Ah Ha! a fellow sprinter. I wish I felt the same about rewriting though – I am terrified – my manuscripts sat collecting dust at the minute! This is how my mom made me do my math homework. It helped me be efficient and not spend an afternoon on 10 exercises. Sometimes I use it for writing too, and it sure boosts productivity. Haha, there was no sprinting Math for me I’m afraid! I was RUBBISH at it! could barely get through it without tantrums and tears!! lol. Solveig, your mom was either genius or evil. It’s surprising how often you need to apply some psychology to yourself to get motivated. Sacha explains here a method she uses to make herself more productive as a writer. Although not quite the same, I think it’s worth sharing here my own technique for getting myself started. I am one of life’s great procrastinators, and tend to put things off until there’s a deadline. When it comes to sitting down and writing, I can also find lost of things to distract myself with – social media being high on the list. So when I do sit down to write – whether it’s a blog post, a review for my local theatre, or a story – I always have a note book beside me. And in that notebook I jot down the time. And below that time, I jot down the time in 5 minutes or 10 minutes (what can I say? I like variety), and repeat that for usually about an hour. So if the first time I write is 7:00, the last time will be 8:00. Then I start to write. At 7:10 (using the example above), I make a note of my word count. At 7:20, I do it again, and so forth. What always amazes me is how often the word count rises with each new 5/10 minute segment. And as that word count rises, so too does my sense of achievement and my motivation. It works for me, so it might also work for you. And so might Sacha’s approach. We’re all different, so it’s worth trying them both. I totally need to get into the habit of doing this. Fifteen minutes of sprint writing will be so much more productive than fifteen minutes of faffing about on Facebook!